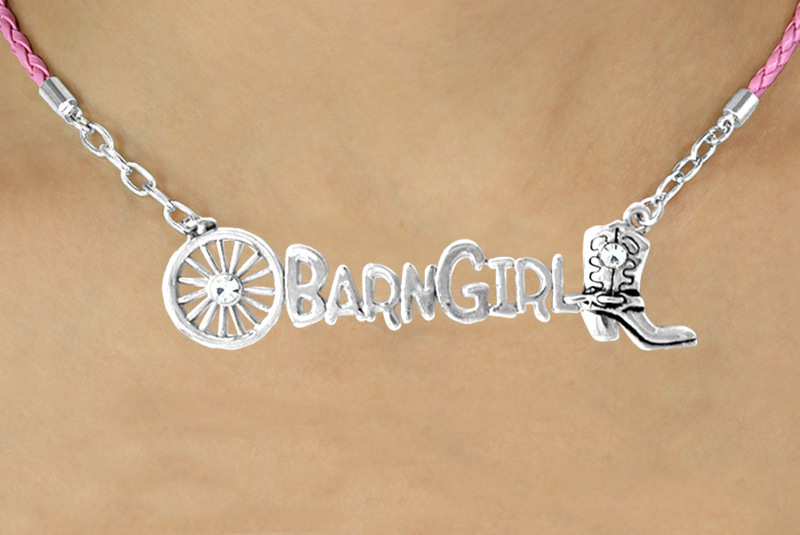 W16354N - WESTERN "BARN GIRL"
Exclusively Ours! An Allan Robin Design! Lead & Nickel Free!! 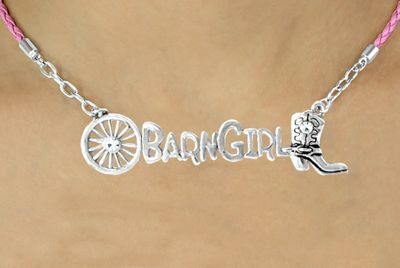 Pink Braided Leather Lobster Clasp Necklace Displays A Western-Style "Barn Girl" Marquee Pendant Decorated By A Wagon Wheel & Cowboy Boot, Both Accented With Genuine Austrian Crystals. Necklace Measures 19", Plus 3" Extender.